Among the earliest known dinosaurs, “Herrera’s reptile from Ischigulasto” was discovered in 1959 near San Juan, Argentina by a goatherd named Victorino Herrera, and was described by paleontologist Osvaldo Reig in 1963. Herrerasaurus lived about 231 million years ago, during the Ladinian epoch of the Middle Triassic. Herrerasaurus was found in the Ischigualasto Formation, particularly Ischigulasto Provincial Park (sometimes called Valley of the Moon). Fossils have not been found anywhere else. Two other dinosaurs from this formation, Ischisaurus cattoi and Frenguellisaurus ischigualastensis, are now believed to be subadult Herrerasaurus. While initially described as a primitive carnosaur, the classification of Herrerasaurus was hotly debated for three decades after its discovery. It was classified variously as a prosauropod, an unidentifiable saurischian, an extremely basal dinosaur, and even a non-dinosaurian reptile. A team led by paleontologist Paul Sereno discovered a complete Herrerasaurus skull in 1988, leading to the development of two schools of thought on its classification. Some authors consider it to be a basal saurischian, existing before the most recent common ancestor of theropods and sauropods. Other authors, including Sereno himself, consider it (and the family to which it belongs, Herrerasauridae) to be a basal theropod. As of the 1993 Isla Nublar incident, International Genetic Technologies had obtained enough Herrerasaurus DNA from ancient amber samples to clone the species. Its viability as of the incident was listed as 60%; despite this, four animals were successfully cloned. This allowed InGen scientists to determine that, based on the anatomy of the cloned specimens, Herrerasaurus was indeed a basal theropod. This dinosaur measured 3 to 6 m. (9.8 to 19.6 ft.) in length, 1.1 m. (3.6 ft.) tall, and weighed from 210-350 kg. (463-771.6 lbs.). 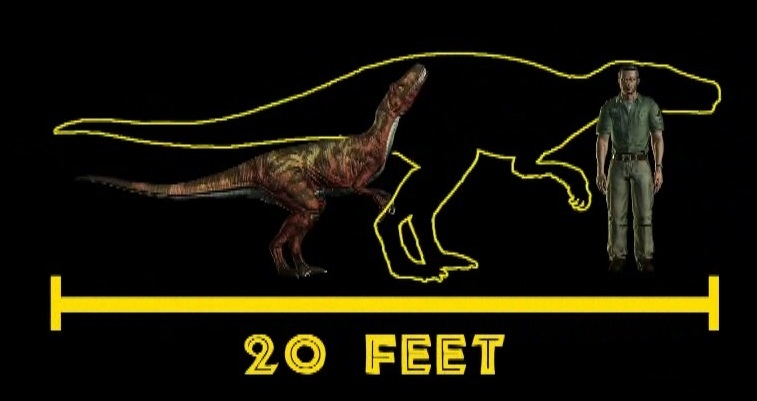 No adults existed as of the 1993 incident, but InGen scientists estimated a maximum length of 20 feet for these animals; this matches up with the maximum size estimated by paleontologists. In the cloned specimens, about a third of the animal’s length consists of its partially-stiffened tail, which is used for balance while both running and climbing. The tail’s vertebrae overlap, which reduces its flexibility. The characteristically low-slung body gives this dinosaur a markedly different profile from later theropods, which would typically keep the head raised higher; in Herrerasaurus, the head and neck are kept parallel to the ground. As with InGen’s more advanced theropods, the hands on Herrerasaurus are pronated, meaning the palms may face downward. Both the hands and feet possess five digits, three of which terminate in sharp, curved claws. The clawed fingers and toes are designed for grasping; they permit this dinosaur to easily cling to structures and presumably prey items as well. Only the middle three toes bear weight, and the fifth toe (the innermost) lacks a claw. On the hands, only the first two fingers and the thumb have claws, while the others are highly reduced and have no claws. The legs in particular are very muscular and designed for endurance, with short thighs and long feet; the arms are half the length of the legs, and the hands (much like the feet) are elongated. Head and neck of a juvenile H. ischigulastensis. Note the blue interior of the mouth, large serrated teeth, and powerful jaw. The head of this dinosaur is small, especially when compared to the enlarged skull size of the ecologically similar Velociraptor or the massive bite force of the Tyrannosaurus. It reaches 56 cm. (22 in.) in length when fully grown; the juveniles involved in the 1993 incident were around half this size. The skull lacks significant ornamentation such as crests or horns, more closely resembling the skulls of more primitive archosaurs which existed before the dinosaurs. On its lower jaw is an unusual flexible joint which allows it to slide back and forth, allowing for a grasping bite. This is not known in other dinosaurs, but is a feature in the jaws of some lizards. The teeth are large, though variable in size, and serrated to tear off chunks of flesh from prey. Its eyes are birdlike, with round pupils and yellow sclerae. The head is poised on the end of a strong, flexible neck. Herrerasaurus has a lengthy triangular tongue. Both its tongue and the interior of its mouth are pale blue in color. The scaly skin of this dinosaur is remarkably vibrant. Its body is a crimson red or orange, patterned with wavy black, gray, or brown striping from snout to tail. On the middle of the back, its red or orange colors may fade to yellow. As with many dinosaurs, it exhibits countershading, with the underside being much lighter than the back. Countershading on Herrerasaurus is particularly vivid, with a distinct stripe of creamy white on the ventral side contrasting with the bright decorative patterning of the dorsal side. Only the juvenile stage of Herrerasaurus has been observed. These animals were approximately half the size of fully-grown adults, which are projected to reach twenty feet in length. It is not known if the adults would undergo any changes in physical appearance as they reached full size, or if the juveniles simply resemble smaller versions of the adults. The grasping hands of Herrerasaurus are not only suitable for grappling with prey, but also assist in climbing. Its feet can be used in a similar fashion. Due to a lack of specimens observed, sexual dimorphism in Herrerasaurus is not known. The sexes of the four juveniles involved with the 1993 incident are not known; they are presumed to be female, but due to the likely inclusion of genes from Hyperolius viridiflavus coding for protogyny, it is possible that some may have been males. The environmental preferences of Herrerasaurus are mostly unknown. Four juveniles were bred with the intention to house them in what was once the Velociraptor paddock, suggesting that these two genera have similar habitat requirements. Four juvenile Herrerasaurus, once freed from captivity, migrated to an area with a large cliff and complex artificial structure, suggesting that they prefer dynamic environments where they can climb. Also present in that area was a large waterfall, indicating a preference for sources of running water nearby. In real life, the area which Herrerasaurus inhabited was a volcanically active floodplain with a wet, warm, and heavily forested environment which experienced seasonally heavy rainfall. Sometime before June 1993, four juvenile Herrerasaurus were introduced to Isla Nublar and were maintained in a holding pen in the central island. Their age implies that they would have hatched relatively recently, but the exact date is not known. InGen intended to ultimately house them in what had previously been the Velociraptor paddock, located at the northern end of the Jungle River in a heavily forested region. On June 11, 1993, the power was cut to Park security systems by a disgruntled employee. As a result, the herrerasaurs were able to escape confinement. The four juveniles appeared to remain together after leaving their holding pen, exploring the surrounding area; on the evening of June 12, all four were witnessed at the construction site of the Bone Shaker rollercoaster. This was not extremely far away from the holding pen, suggesting that the animals keep to a relatively limited territory at this age. Footprints found on the western mountain ridge on the evening of June 12 likely belonged to at least one of the juvenile Herrerasaurus; they are medium-sized three-toed tracks, meaning that they cannot come from Velociraptor or Troodon. 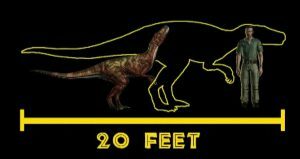 Too large to be Compsognathus and too small to be Tyrannosaurus, they do not match up with confirmed Dilophosaurus prints; Herrerasaurus is the only other theropod on the island, and therefore the one which made the prints. This environment is heavily forested and features a large cliff face, similar to the one near the Bone Shaker where the animals appear to have ultimately set up territory. During the incident, all four Herrerasaurus died due to injuries sustained during a hunt on June 12. This would mean the extinction of this species on Isla Nublar. If any Herrerasaurus survived on Isla Sorna, they would have been transported to Isla Nublar between late September of 2004 and May 30, 2005 when Jurassic World opened. After some time in the quarantine paddock, the herrerasaurs would be integrated into habitats in Sector 5. Population statistics remain unknown; it is not even known if any herrerasaurs existed on Isla Nublar during this period of time at all. A report released on February 4, 2018 by the Dinosaur Protection Group listed Herrerasaurus among the species which were extinct on Isla Nublar. InGen originally bred Herrerasaurus on Isla Sorna, though population statistics remain unknown; data implies that the first ones would have hatched in late 1992 or early 1993. 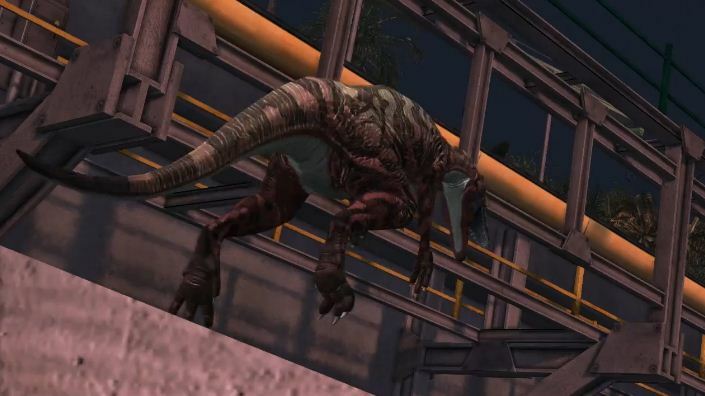 The species was not listed among the island’s species as of the time InGen abandoned the island, so it was most likely no longer on Isla Sorna as of 1993. Four juveniles would have existed on the island as of spring or early summer that year, but were shipped to Isla Nublar before the incident. While it is not film-canon, the game LEGO Jurassic World does display a Herrerasaurus icon on a map of Isla Sorna. The icon appears in the southeast region of the island, northeast of the Workers’ Village. 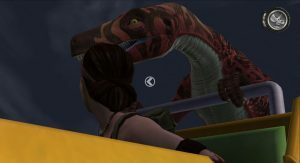 This game uses an older version of the Isla Sorna map, which places the Workers’ Village near the southeastern coast rather than the central island as in the final film; this leaves the intended placement of the herrerasaur habitat ambiguous. 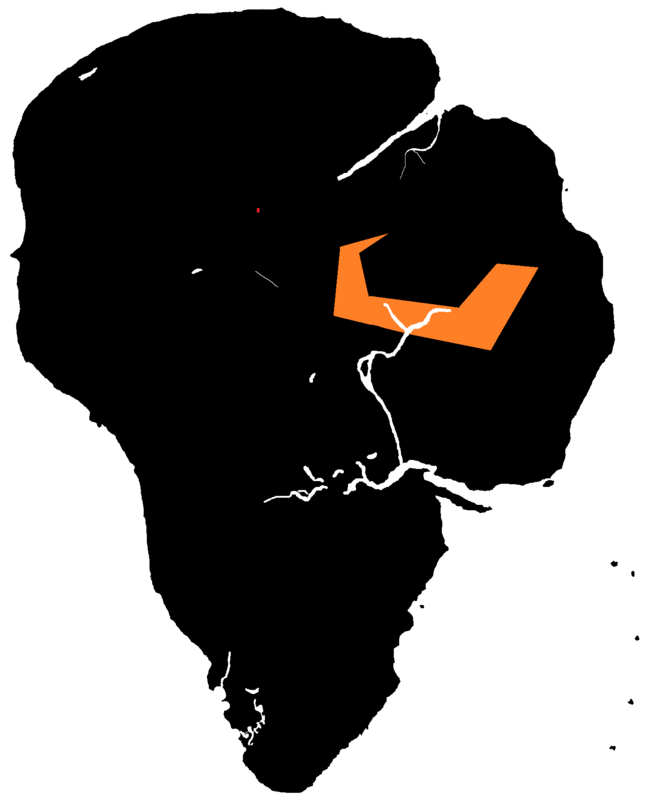 In either case, InGen documentation heavily suggests that no herrerasaurs remained on the island by the time it was abandoned. If any herrerasaurs were on Isla Sorna as of 2004, they would have been collected by InGen (now under the banner of Masrani Global Corporation) and brought to Isla Nublar. There is no evidence of herrerasaurs being cloned at any point after 1993. If any had been created during the following twenty-two years, is is possible that they may have been subject to poaching; there is currently no information available about which species are suspected to have been poached from the islands. Fossil evidence suggests that the Herrerasaurus was a cathermal animal, active for intervals throughout the day while resting in between. This animal has been observed engaging in patrolling and hunting behaviors in the late evening, close to twilight. Dr. Laura Sorkin‘s research characterizes Herrerasaurus as a pursuit hunter. Like many more advanced theropods, the herrerasaur may hunt in packs, at least as a juvenile; typically patrolling their territory in pairs, they will vocalize to one another upon sighting a prey item and engage in the chase cooperatively. Though they are not highly intelligent, herrerasaurs are able to use some rudimentary strategizing and coordinate with their packmates during a hunt. 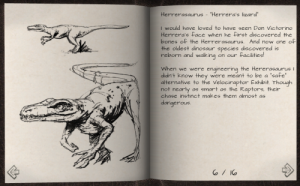 According to Dr. Sorkin’s observations, a herrerasaur can be quite a determined hunter and unlikely to give up easily once it has targeted a prey item. This suggests that they will try to tire out their prey through a lengthy chase, making the kill once the prey is too exhausted to continue running. The claws on both its hands and feet are curved, and the limbs are powerful for grasping prey items. Its jaw, in real life, is also designed to give a gripping bite; it has a large number of sizable serrated teeth which it uses to rip and tear pieces of meat off of its prey. The mobile application Jurassic World Facts states that the prey of this animal includes small dinosaurs, reptiles, and mammals; the species Pisanosaurus is given as an example of a prey item. However, this species has never been cloned by InGen, so the specimens in Jurassic Park would not have been able to hunt it. Herrerasaurus is an incredibly efficient predator. In addition to tearing off chunks of meat from prey and swallowing them whole, it is able to digest bone; this is a feat that would give the herrerasaur an edge over competing predators, even Tyrannosaurus. Despite its lower intelligence, Herrerasaurus is a social animal (at least in the juvenile stage). Only four animals are known to have been cloned, but all four remained close together even after having been released from containment. Establishing a territory at the Bone Shaker, they paired off to patrol separate parts of it. This pairing-off behavior appears to extend to hunting; when targeting prey items, only two at a time participated in the attack. If one animal failed, another would take its place. Two juvenile Herrerasaurus cooperating to surround prey. 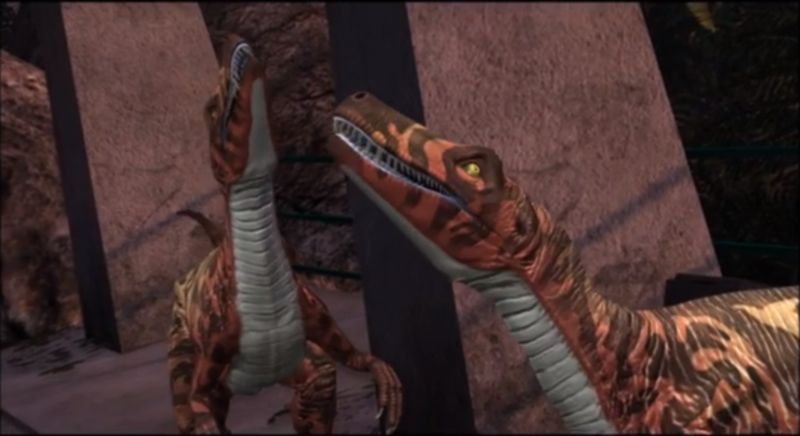 Herrerasaurus is known to often work in pairs when patrolling or hunting. The vibrant coloration of Herrerasaurus is also indicative of social behavior, as these bright colors and patterns would make species recognition quick and simple. As the four animals created by InGen were physically-identical clones, it is not currently known if there is any level of individualism in the patterning of each herrerasaur. It is not known if the same two animals always pair off together and favor each other as companions, or if they simply operate in pairs to increase their efficiency. As with all dinosaurs, Herrerasaurus hatches from eggs and is portrayed as having a cloaca. Any details about reproduction beyond this are currently unknown. 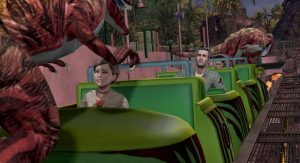 Jurassic Park: The Game portrays herrerasaurs as making cries very similar to those of Velociraptor; the herrerasaur vocalizations are simply slowed-down raptor vocalizations. 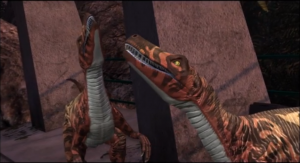 It is not known if this is intended to represent the actual sounds that this dinosaur makes in the film canon, or if it was simply done due to a lack of resources needed to create new sounds. The animals vocalize frequently when pursuing prey, most likely to coordinate with one another. According to the Jurassic World Facts app, this animal communicates with other members of its own kind using trilling noises. Because the four known Herrerasaurus were only in the wild for one day at most before dying, little is known about their role in local ecology. As predators, they would regulate the populations of smaller prey items including reptiles and mammals. The territory established by the four escaped herrerasaurs on Isla Nublar was not known to be inhabited by other animals at the time, but there is evidence that one herrerasaur did pass through a region of the western mountain range which was inhabited by other theropods. These included Compsognathus, Dilophosaurus, Troodon, and Tyrannosaurus. It is possible that Pteranodon may have been in the same area, as well as flocks of laughing gulls (Leucophaeus atricilla). The gulls are potential food items, as are the compies, but the other medium-sized theropods would likely be competition and the Tyrannosaurus would be a potential predator of the herrerasaurs. As the herrerasaurs are able to digest bone, they would be one of the ecosystem’s most efficient scavengers. Clearing away carcasses would eliminate a potential source of disease, and as they eat everything including the bones, they would maximize the return of nutrients into the food web. Herrerasaurus was possibly affected by hematophagous (blood-drinking) parasites, at least in its native Triassic period. Mosquitoes had not yet evolved, so these parasites would have to belong to a different group of animals (possibly early relatives of ticks). It is not known if any modern parasites consume their blood. 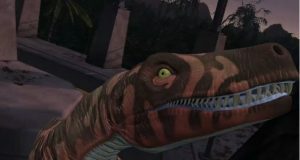 InGen intended Herrerasaurus to be used as a “safe” replacement for Velociraptor, and it would have inhabited the paddock originally intended for the raptors. Visitors would have therefore viewed them from the Jungle River Cruise attraction. The InGen Field Guide suggests that Herrerasaurus could also be showcased in special exhibit pens where visitors could interact even more closely with them. 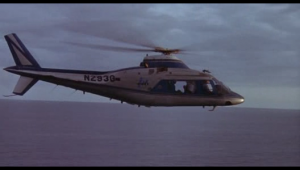 However, some InGen staff (including Robert Muldoon and Dr. Laura Sorkin) expressed safety concerns about the animals. Excerpt from Dr. Laura Sorkin’s field journal. Herein she describes the hunting behavior of H. ischigulastensis. During the Board’s review of Jurassic Park in early June, the location of the herrerasaur holding pen was brought up by Robert Muldoon as a security concern. Its proximity to the Bone Shaker was given as a possible danger; however, the Board considered current safety measures to be satisfactory. The herrerasaurs breached containment through unknown means on either June 11 or June 12 of the 1993 incident on Isla Nublar. 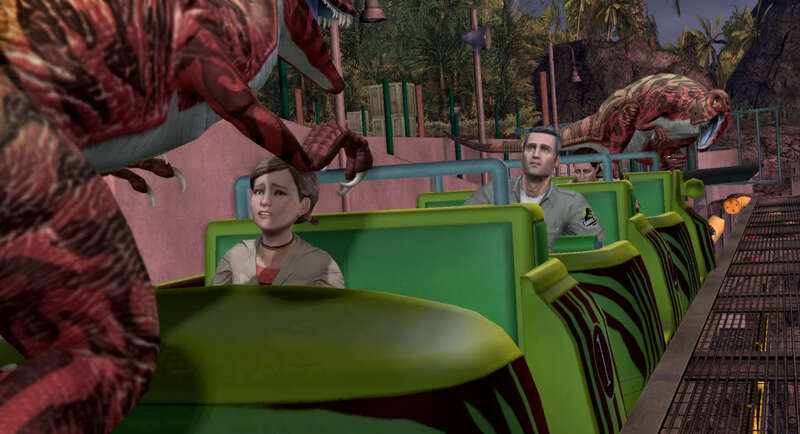 Survivors of the incident (InGen veterinarian Dr. Gerry Harding, his daughter Jess Harding, and a Tun-Si woman named Nima Cruz) passed through the herrerasaurs’ recently-established territory and were hunted; all three humans survived, but all four of the dinosaurs fell from the Bone Shaker during the struggle. In 1994, InGen personnel found the remains of all four animals, confirming that they died due to their injuries.